Have you received correspondence from a company going by the name of Lowell Portfolio or Lowell Financial? Don’t know who they are or why they are chasing you for money owed to them? If in the past you have had debts that you have not paid then you may have had contact from the Lowell Group Debt Collection. They will then attempt to collect the debt via email, text messages, letters, phone calls & court action. They are probably the most common buyer of debts in the UK at the moment. 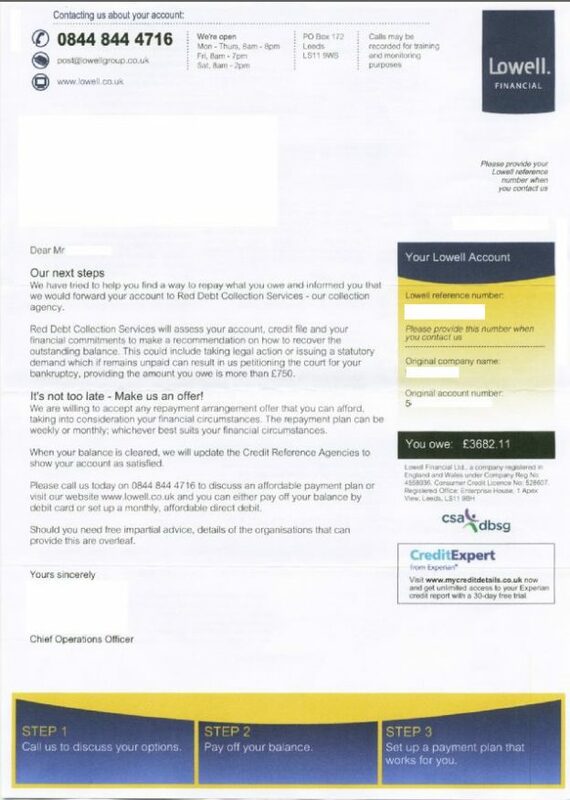 This entry was posted in Uncategorized and tagged 01418460113, collect the debt, Credit Cards, debt, free debt help scotland, lowell group, lowell portfolio, Overdrafts, Personal Loans, scottish trust deed, short term loans, Store Cards on August 15, 2018 by Stuart Stirling.